Do you Sell Photos Online? Install our free E-commerce App and Sell Photos in just a few short steps. 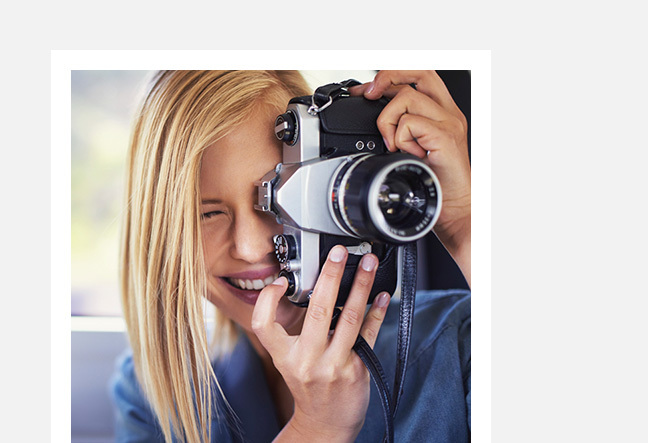 Ecwid offers you a revolutionary way to sell photos online with our free and feature-packed online shopping cart. Whether you’re looking to sell original prints, wedding or special event photographs, vintage finds or artistic collections, Ecwid provides you with everything you need to get started selling today in just a few short steps. Your online store will blend seamlessly with your website, allow customers to easily browse through your inventory and make purchases directly from your site. Every aspect of your online store is customizable, from shipping and payment options, to the look and feel of your shop, to interacting with your customers. You’ll be amazed at how quickly you’ll be able to grow your photography business when you sell your photos online with Ecwid. If you’ve always wondered how to sell photos online, but weren’t sure where to start, Ecwid makes the entire process incredibly simple even if you’ve had no prior experience with e-commerce. Setting up your store can be done in a matter of minutes by just copying and pasting a few short lines of code into your Content Management System, such as WordPress, Wix, Squarespace, or any other custom website builder. While your online store is designed to display beautifully and blend smoothly with your website, you can also customize the look and functionality of your online shopping cart. You can even sell photos online by adding a store to your Facebook page. And if you operate more than one website, your entire inventory of photos will be mirrored across all of them and easily managed from one user-friendly Ecwid control panel. When you sell photos online with Ecwid you can customize many of the rich features of your online store. Choose the best payment options and shipping methods that work well for you and your customers. Track inventory and shipments and keep track of customer data to help better manage and grow your business. You can also add social buttons to your online store when you sell pictures online with Ecwid, so that your customers can share their favorite photos and purchase on social media, including Facebook, Twitter and more. Your customers will enjoy an incredibly pleasant shopping experience when you sell photos online with Ecwid. Our lightning fast AJAX interface, powerful and secure Amazon EC2 servers, and full drag and drop support, will make it easy and enjoyable to browse through your photo inventory and make purchases directly from your website. Your customers will also be able to easily shop anywhere online with our mobile responsive design, and should you wish to sell your photographs in person, Ecwid’s PayPal integration makes it simple to accept payments from your customers wherever you go. 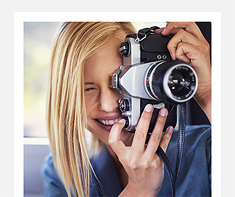 Sign up today and discover how to sell photos online with Ecwid.